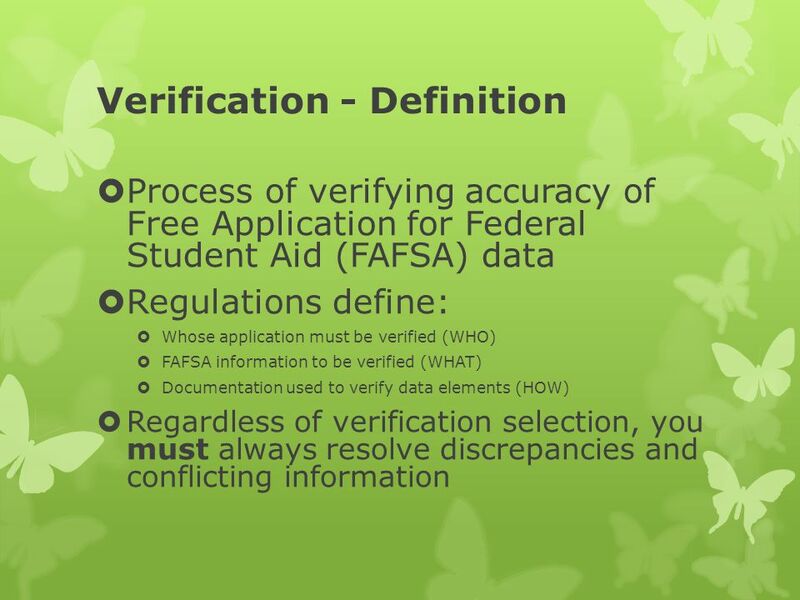 Verification - Definition  Process of verifying accuracy of Free Application for Federal Student Aid (FAFSA) data  Regulations define:  Whose application. 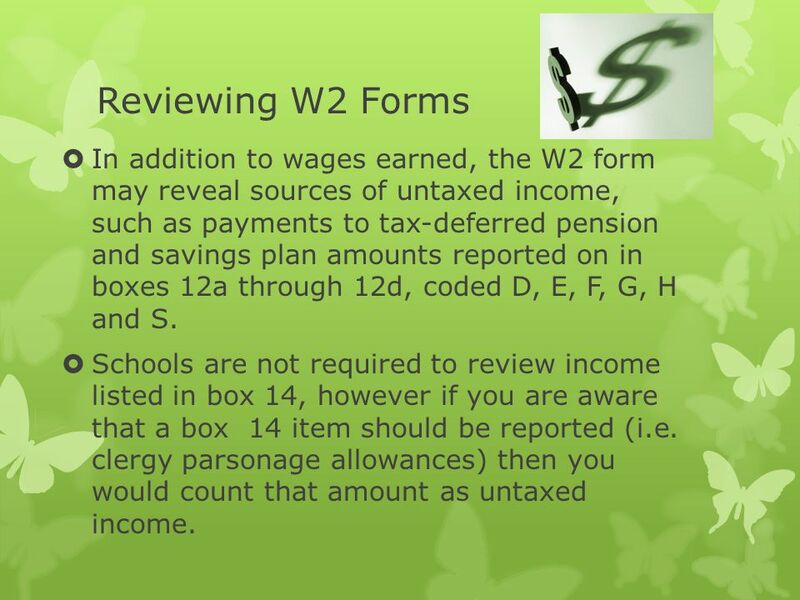 11 Reviewing W2 Forms  In addition to wages earned, the W2 form may reveal sources of untaxed income, such as payments to tax-deferred pension and savings plan amounts reported on in boxes 12a through 12d, coded D, E, F, G, H and S.  Schools are not required to review income listed in box 14, however if you are aware that a box 14 item should be reported (i.e. 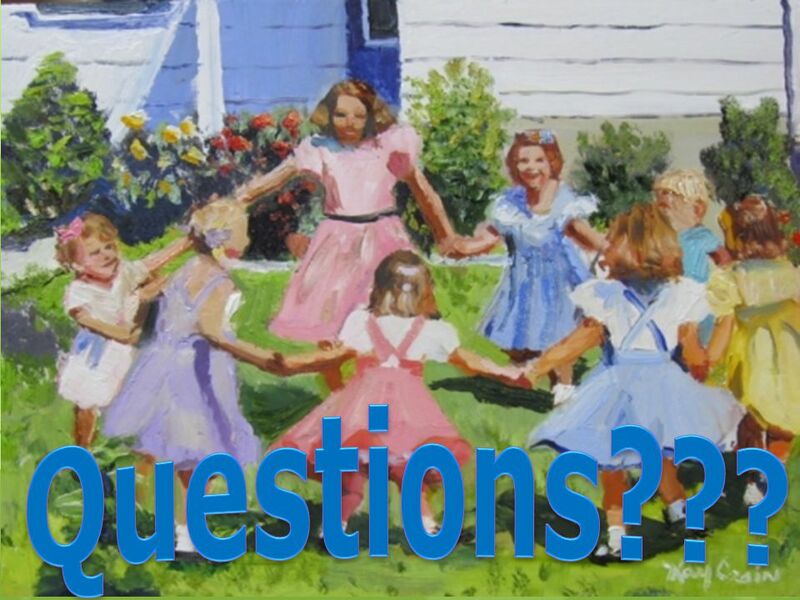 clergy parsonage allowances) then you would count that amount as untaxed income. 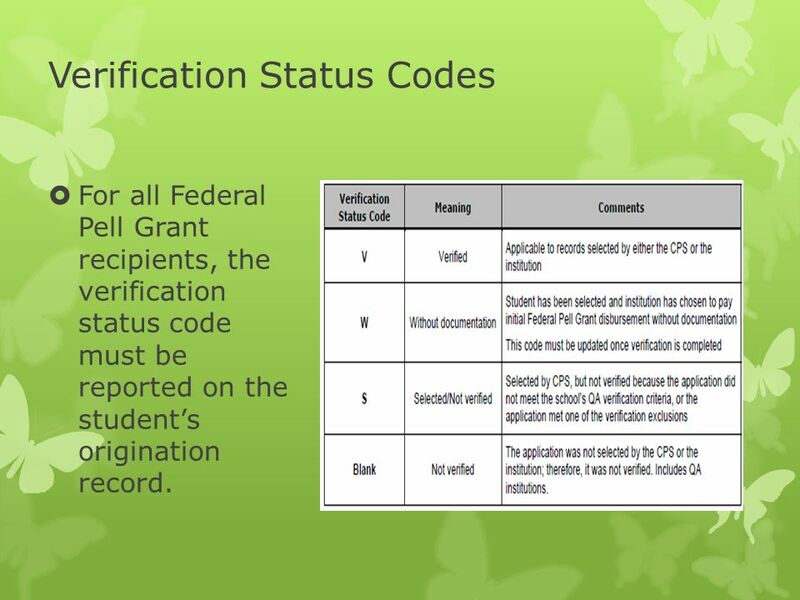 14 Verification Status Codes  For all Federal Pell Grant recipients, the verification status code must be reported on the student’s origination record. 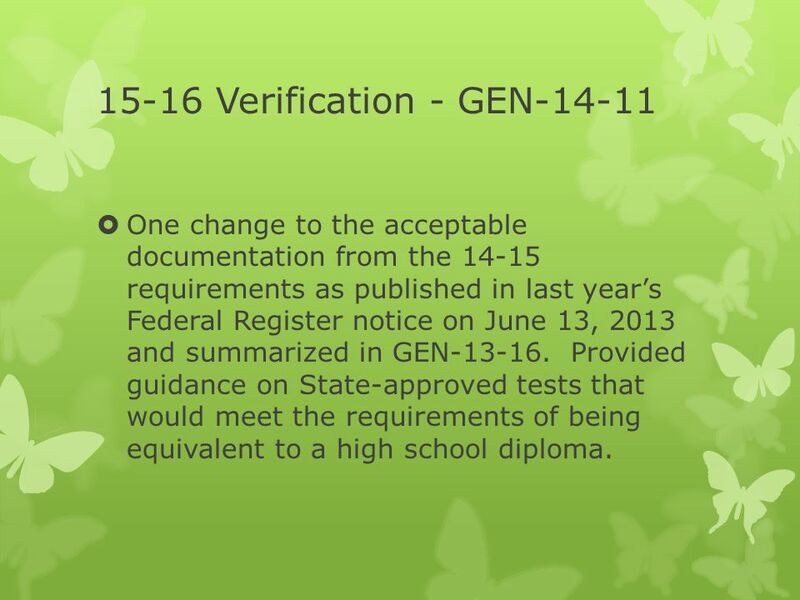 18 15-16 Verification - GEN-14-11  One change to the acceptable documentation from the 14-15 requirements as published in last year’s Federal Register notice on June 13, 2013 and summarized in GEN-13-16. 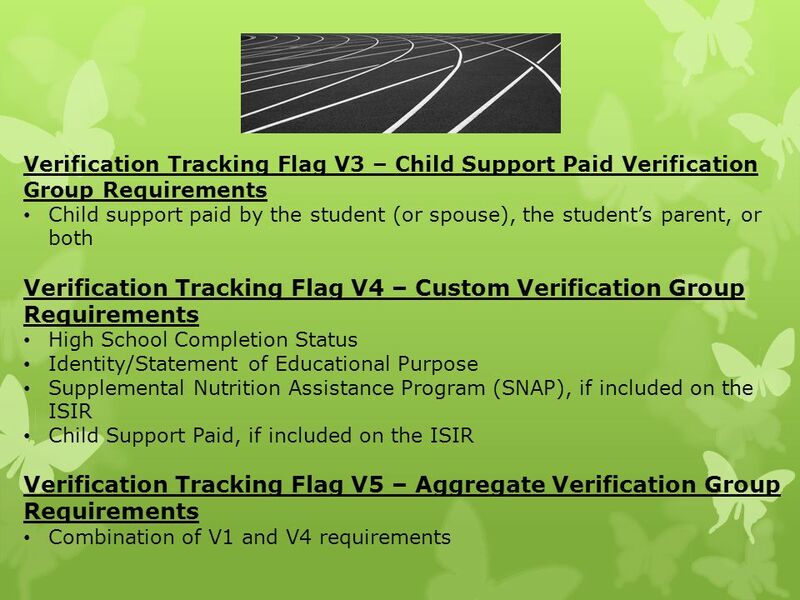 Provided guidance on State-approved tests that would meet the requirements of being equivalent to a high school diploma. 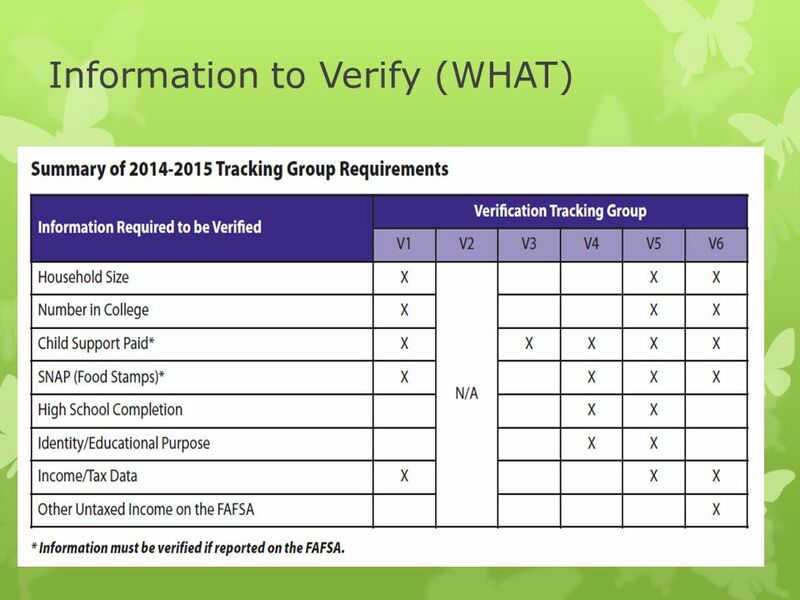 Download ppt "Verification - Definition  Process of verifying accuracy of Free Application for Federal Student Aid (FAFSA) data  Regulations define:  Whose application." 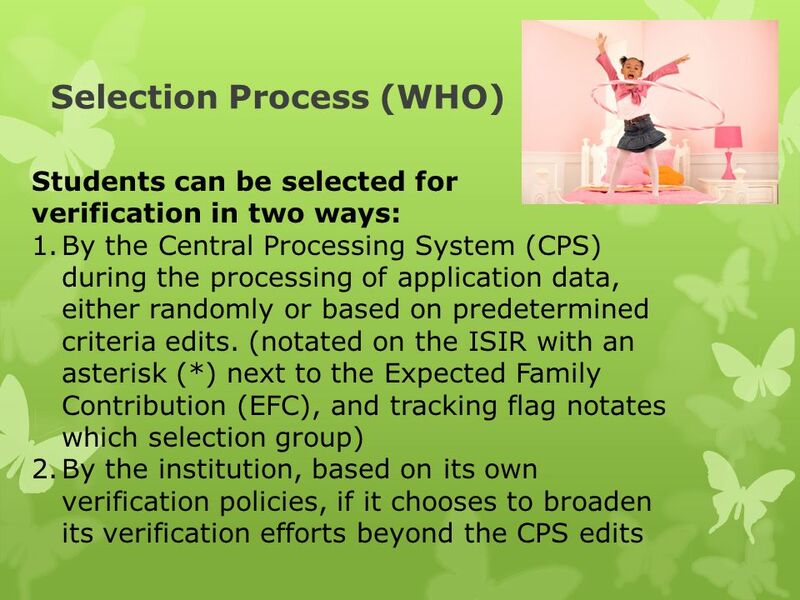 Verification Requirements Program Integrity Final Rule. 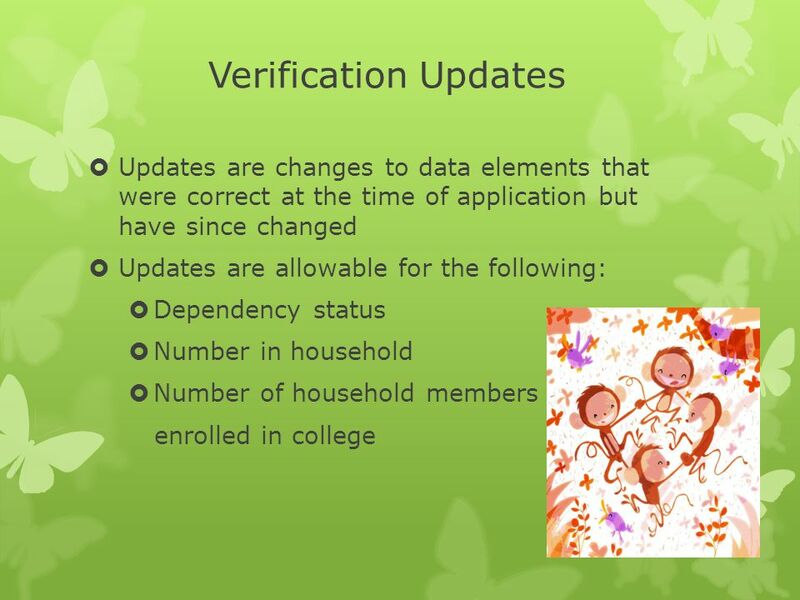 VERIFICATION What’s new How does it affect our offices. 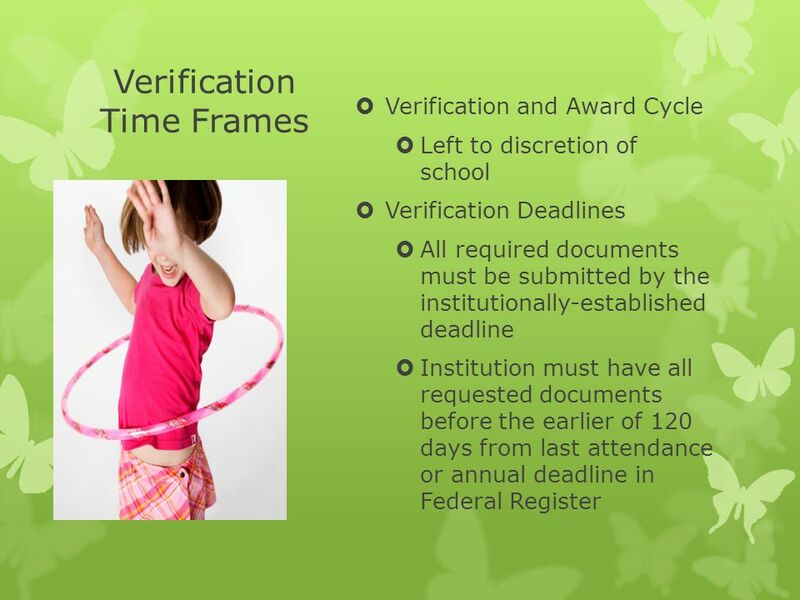 Student Eligibility and The Application Process. BILL MACKILARIA PUENTE UT DALLASUNIVERSITY OF HOUSTON- DOWNTOWN. Brenda K. Dayhoff Executive Director, Financial Aid. 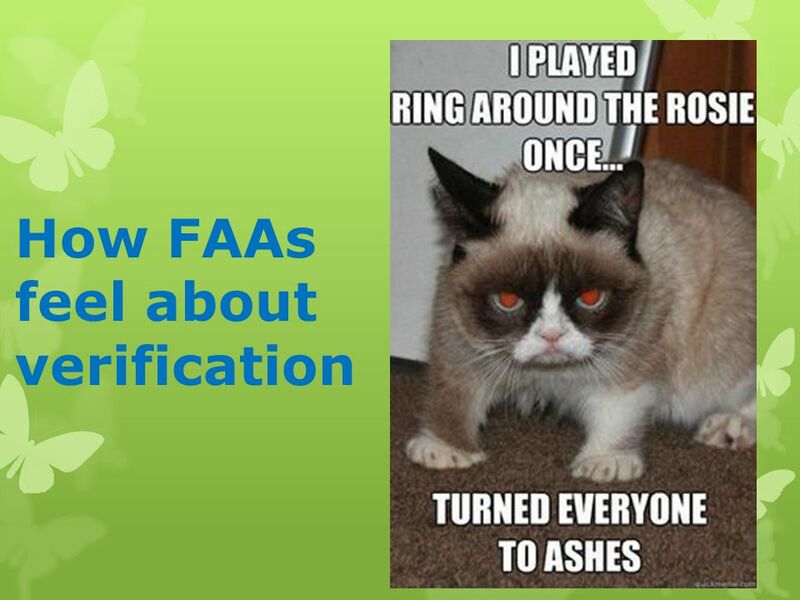 2014 TASFAA New Aid Officer’s Workshop. 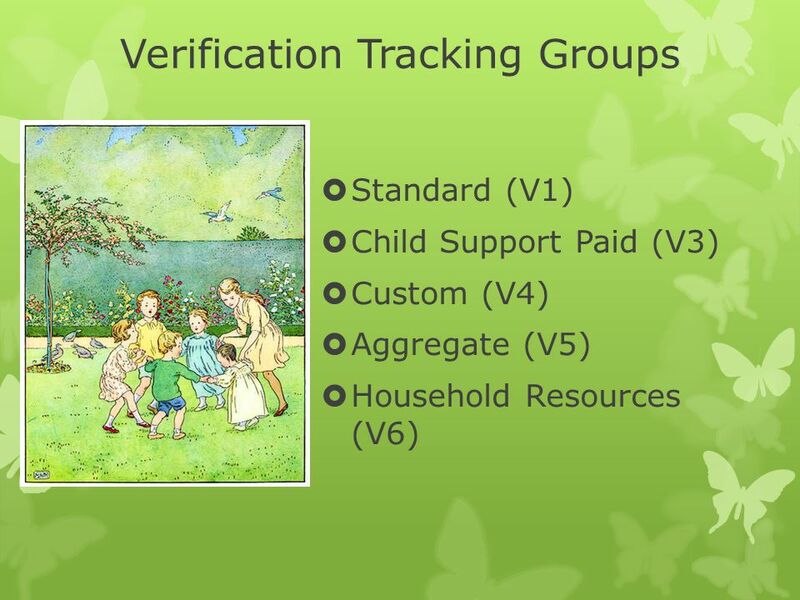 Objectives Understand Verification Flag Tracking Groups and Documentation Requirements Easily Identify Verification. 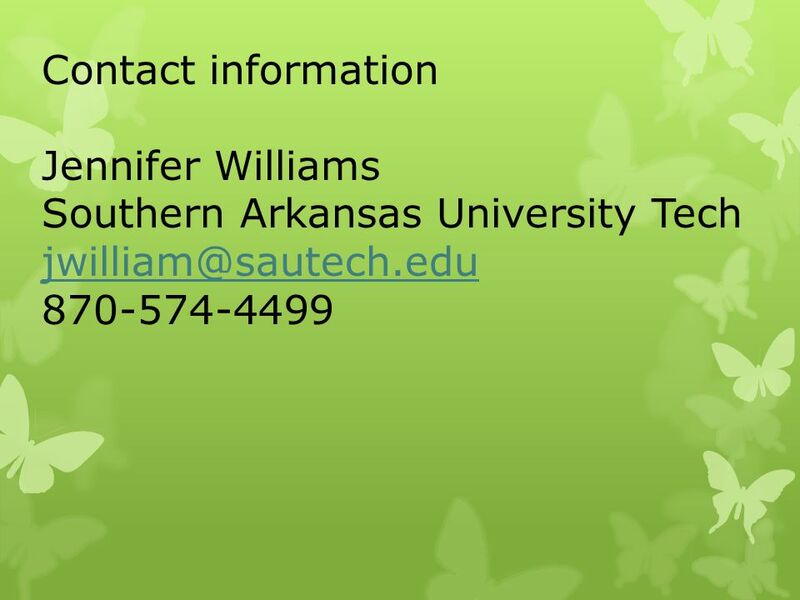 Verification: Birds and Bees Megan DeWitt North Central Missouri College April Mason University of Missouri. 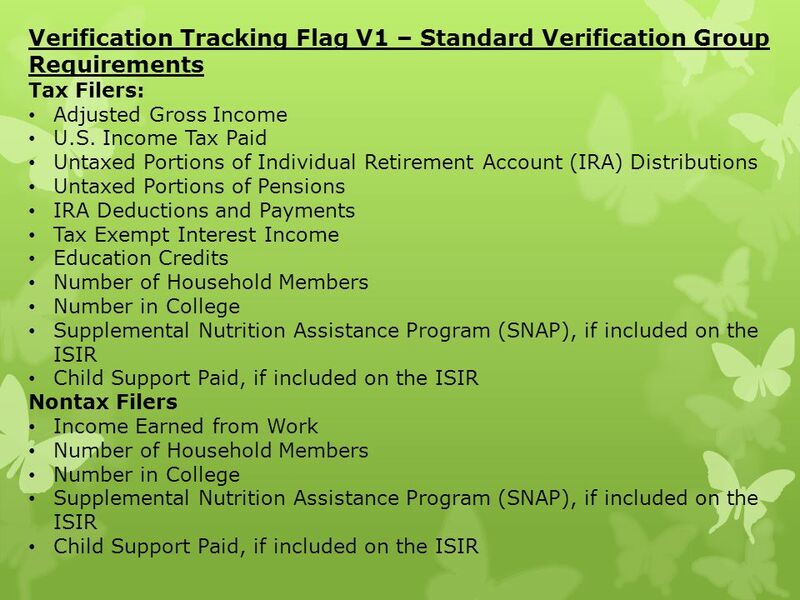 Verification Where We are and What’s Ahead. Agenda General Purpose and Policies : Where we are : What’s ahead Impact of GEN Resources. 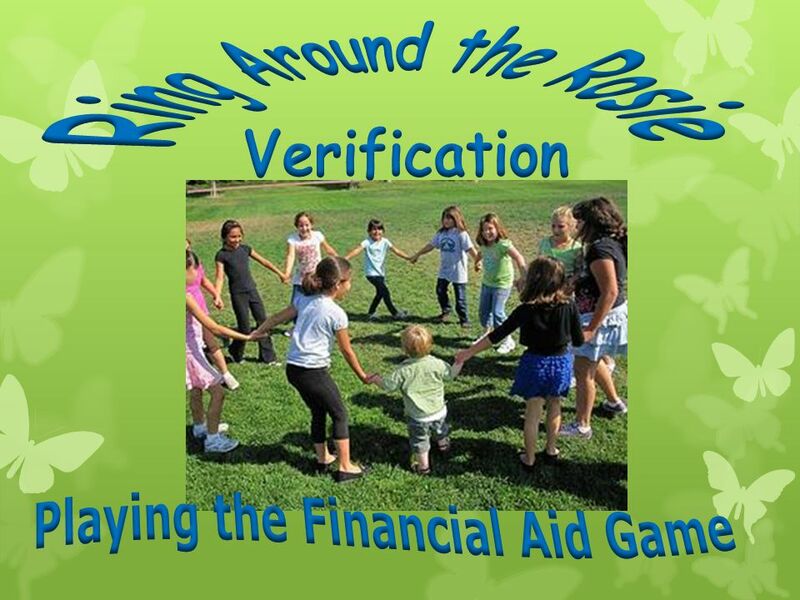 1 Verification ILASFAA Springfield, IL April 16, 2008. 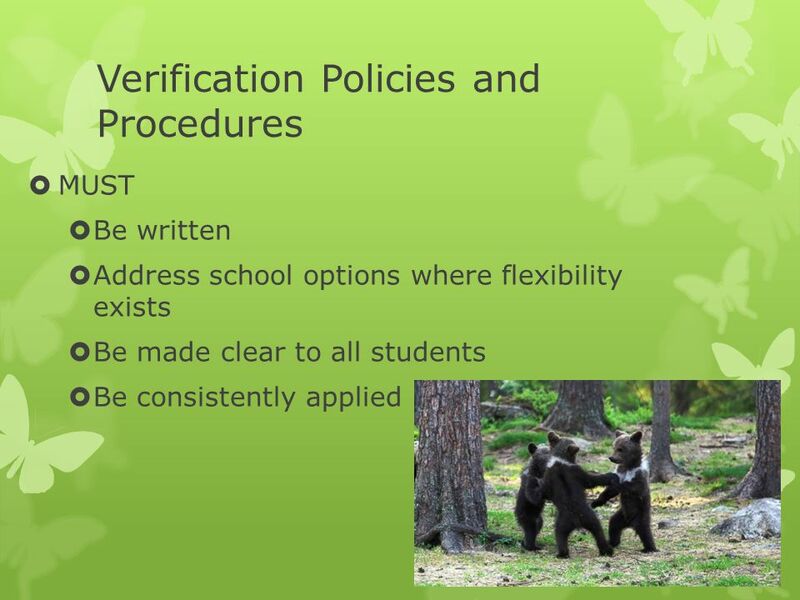 Update on Verification Requirements Gregory Martin Thomas Threlkeld Session 17. Verification TASFAA 2010 New Aid Officers Workshop Consuela Mitchell Deputy Director of Financial Aid The University of Texas at Dallas Application. 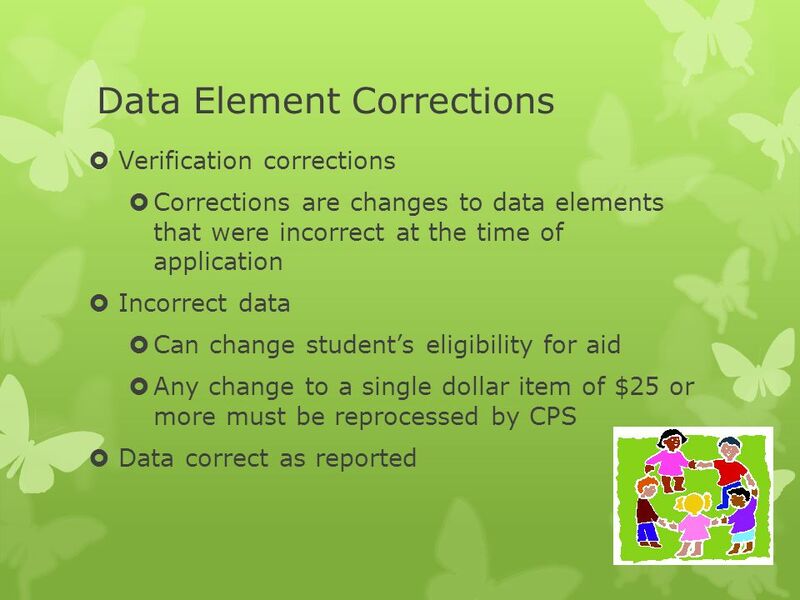 Verification 2012 New Aid Officer Workshop Consuela Mitchell Director of Student Financial Aid Services Tarrant County College-NE Campus Application. 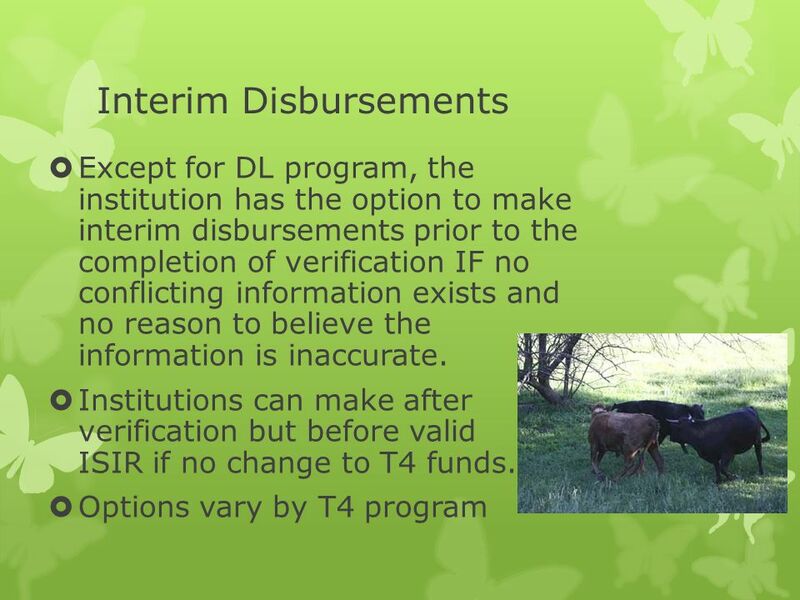 Student Financial Aid. 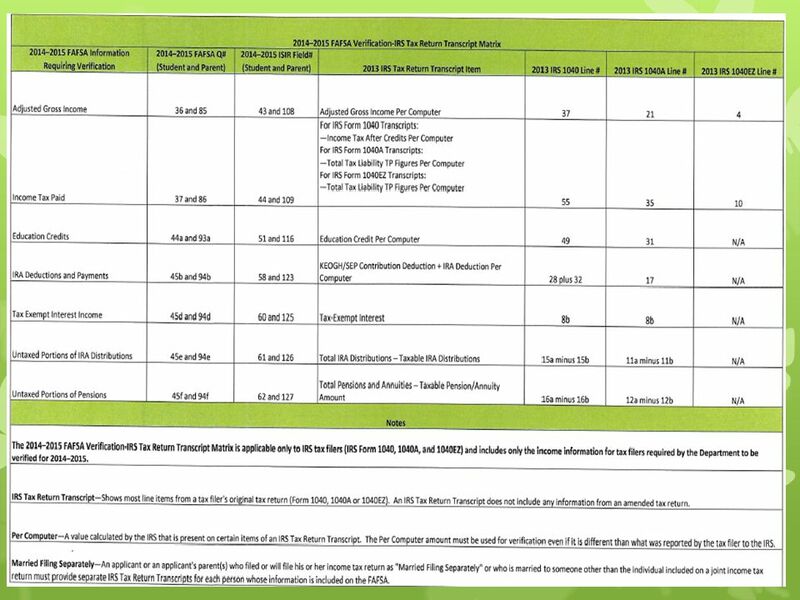 FAFSA UPDATES The Free Application for Federal Student Aid, or FAFSA, will provide a new option for dependent applicants. 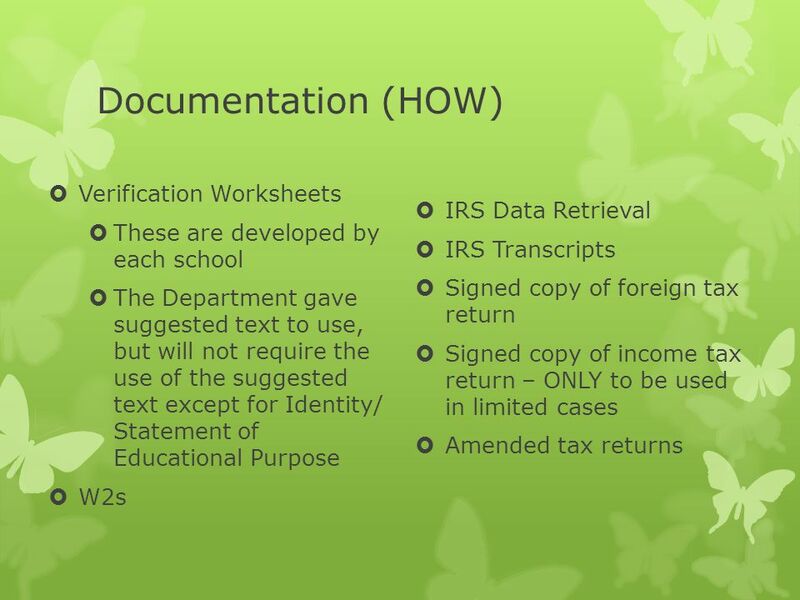 VERIFICATION and TAX FORMS MAFSAA Fall Conference October 18, 2010. 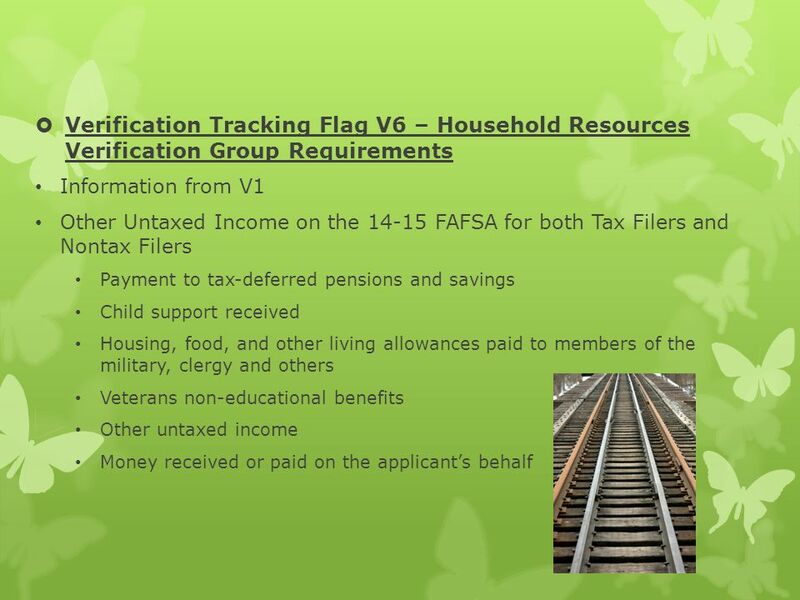 Verification, Tax Transcript Woes & Pell Lifetime Eligibility Limits Jo Lopez Front Range Community College.